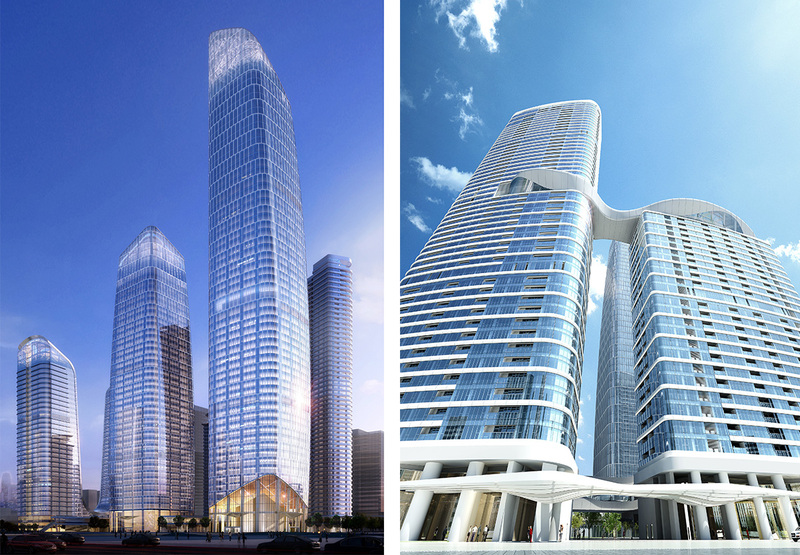 Architecture and urban design firm Farrells has released new images of construction progress in Qianhai, a new business district in the southern Chinese city of Shenzhen. 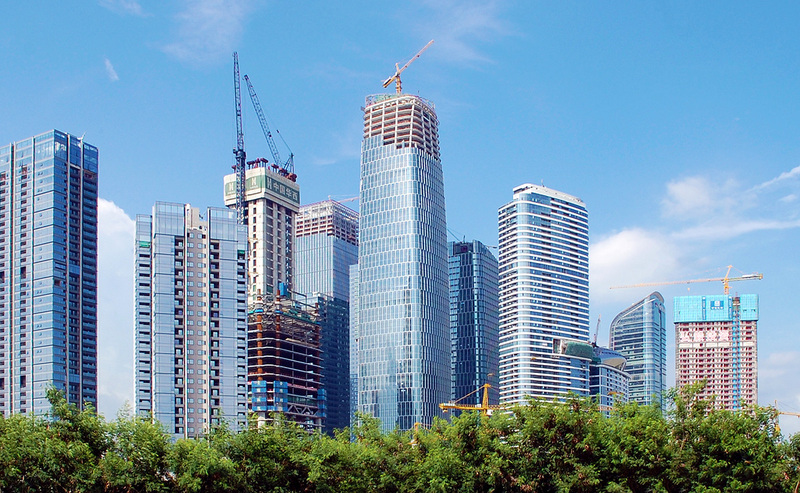 The company designed One Excellence, a six-tower development nearing completion on the first plot land sold in Qianhai, which went to developer Excellence Group at auction in July 2013. One Excellence has been designed and delivered on a fast-track basis. The first phase, comprising two twin 178-metre towers at the eastern end of the site, was substantially completed in 2016. 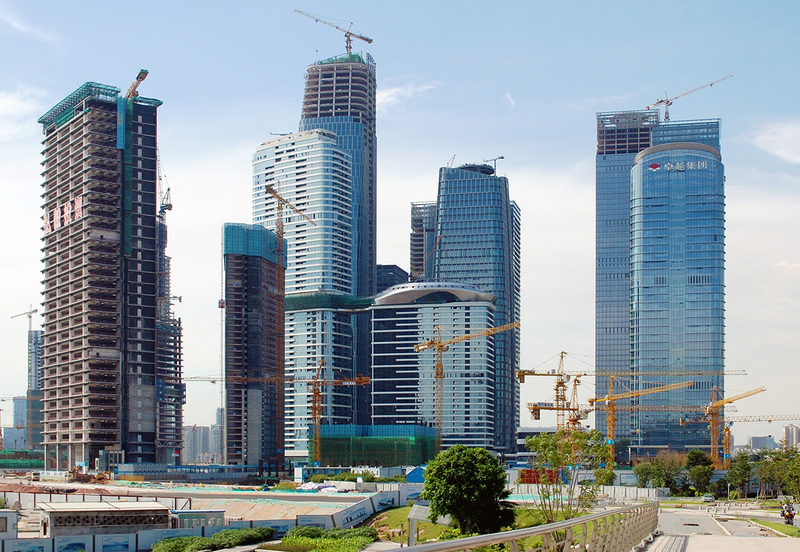 The four remaining towers are expected to be completed by the end of this year. Tower 2 and Tower 4, both residential and linked by a sculptural clubhouse at the 27th storey, are the farthest advanced. Tower 4 received an occupancy permit on schedule in June 2018, while Tower 2 is expected to receive its own permit this September. We took a ‘people-first’ approach to the urban design of One Excellence that will help ensure the district is walkable, vibrant, and of a very urban character. The 284-metre Tower 1, which will house offices and is One Excellence’s tallest skyscraper, topped out on 23 April 2018. The tower’s unorthodox double-curved form has been realised through the use of adaptable facade modules, also designed by Farrells, which have allowed for quick installation. The façade is expected to be completed by the end of August. Also fully dedicated to office use, the 200-metre Tower 3 is fully topped-out and clad, and roof installation is now underway. Interior work on both Tower 1 and Tower 3 is in progress. In addition to the towers, the development includes retail and dining elements at the lower levels. An underground shopping concourse will provide covered pedestrian connections to adjacent developments as well as the Shenzhen Metro.